There will be hire cars made available to this group, however, driver’s should ideally be 25 years of age or over. There needs to be a minimum of 2 drivers. In addition to this group, there will be other international students taking part in the excavation, and there could be organisations such as Operation Nightingale sending some groups for part of the duration. This placement in 2019 presents an exciting opportunity for archaeology students and graduates from the UK to gain experience of archaeological excavation in Cyprus. 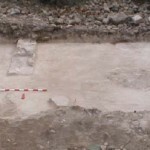 The site is of an Early Christian Basilica. 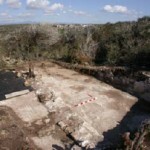 The participants will be hosted by the Akrotiri Environmental Centre and will join the excavation led by the Cyprus Department of Antiquities on the Akrotiri Peninsula. 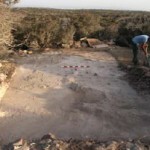 The period of the placement is arranged to benefit from the most suitable weather conditions for excavation in Cyprus, avoiding the summer heat. Students will stay in self-catering shared accommodation in Akrotiri village. Akrotiri is a short drive from Limassol. 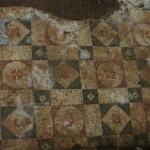 In 2000 members of the Western Sovereign Base Area (WSBA) Archaeological group discovered some individual loose tesserae, supposedly from a mosaic floor, when walking in the Akrotiri peninsula. 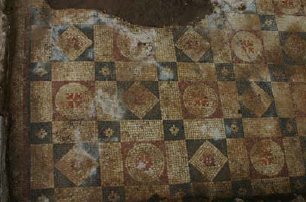 This find prompted further searching in the area and a small section of mosaic floor with a thin earth covering was uncovered. 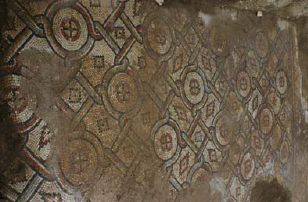 This mosaic was re-covered by the WSBA group and the potential site reported to the Department of Antiquities. 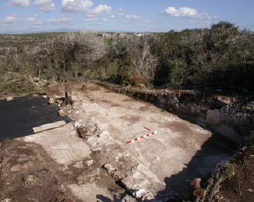 Excavation of the site, Katalymmata ton Plakoton, did not begin until 2007 due to time and budget restraints. 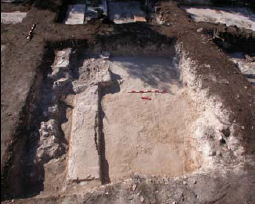 In October 2007 the excavation of the site began under the direction of Dr Eleni Procopiou from the Department of Antiquities. As well was employing a number of labourers, Dr Procopiou was assisted by a skilled technician from the Limassol museum, two PhD students from the University of Athens, a Department of Antiquities conservation team and five archaeology graduate students. 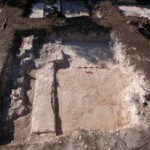 Prior to beginning the excavation it was believed by Dr Procopiou that the site was most likely an Early Christian Basilica. 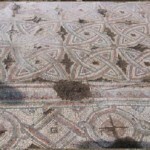 This belief was upheld throughout the excavation with finds and mosaics supporting a date of around the 7th Century AD. No evidence of burning was found which suggests that the structure was destroyed prior to the Arab raids of the 7th Century AD. 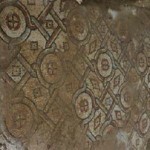 The mosaics uncovered have been described as the best to date in Cyprus. 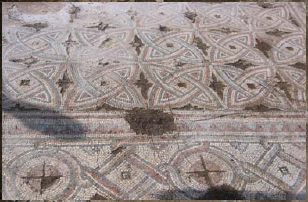 A total of sixteen different designs with origins across the whole of Cyprus were uncovered. 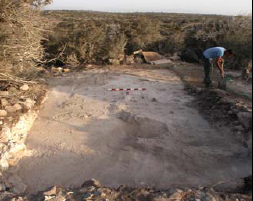 During the 2019 season, the group will be assisting Dr Procopiou and her team, continuing to uncover more of the site. The group will work Monday to Friday with weekends off. Suggested visits during weekends are Kourion archaeological site, Kolossi Castle, Sanctuary of Apollon, Lefkara museum, Choirokitia Neolithic site, Omodhos monastery/church and village, Paphos castle, mosaics and tombs of the kings, Amathus archaeological site and Limassol castle. For more information about the site please refer to the Department of Antiquities website.